(800) 423-0941 Need to make an Appointment? Questions? Just ask one of our friendly experts. (800) 423-0941 Need to an make an Appointment? Questions? Just ask one of our friendly experts. Access to Freedom was founded in 1999 by Rick Mills and has since grown into one of the most successful independent stairlift distributors in California with locations in both Irvine and Carlsbad CA. At Access to Freedom our goal has remained the same since inception, to provide the highest quality products available in the marketplace and to provide the best service possible in the stairlift industry. You would think that this would be the goal of every company but it is painfully obvious that some in the industry have put profit and growth ahead of quality and service. 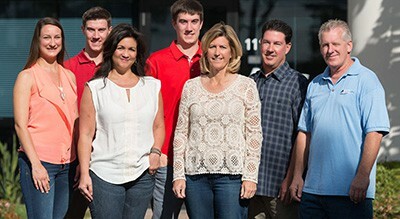 As a small family owned and operated company, we treat our customers as part of our extended family. Our customers become our friends and when you buy a stairlift from us you will never be treated like a number or just another sale. When you call us you will find that we don’t use high-pressure sales tactics to try to hide information from you in order to make a sales appointment. 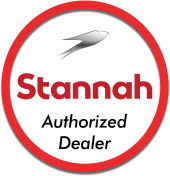 We are confident that we offer the finest and highest rated stairlift on the market today and we are more than happy to tell you all about it and even share pricing with you over the phone. We believe that most folks appreciate this approach as opposed to the strong-arm sales tactics that some of our competitors use to get into your homes. Beyond that, we handle everything from the initial phone call, the measuring and surveying, the installation process all the way through to the ongoing maintenance of your unit all in house with our very own factory trained employees. In short, we treat people the way we would want to be treated and more importantly, we treat your parents or loved ones the way that we would want our parents treated. As members of the communities we serve, our reputation is everything and we go out of our way to be honest, fair and straightforward in everything we do. Give us a call today and whether you are just gathering information about stairlifts or elevators, planning for the future or needing a stairlift immediately, we will be happy to get you the information that you need. Thank you for considering Access to Freedom. PEOPLE LOVE US ON YELP. SEE FOR YOURSELF. We are very proud to offer a unique rental program for our straight stairlifts. VISIT OUR VIDEO LEARNING CENTER! "Great service. Installation was done as requested and product has worked very well. Had a small problem that was fixed very quickly. I recommend Access to Freedom for all who need help using stairs. Good people too."